this is not your usual Free Planet post, or maybe it is. Put it this way, this is totally between you and me... it's an image, it's electro-magnetic, it's also a waking reality. A human hand holding a smaller stone over a larger alumimium stone in the other hand. Electric tendrils (named below) poured off the top stone as it was pulled further away from the larger stone. 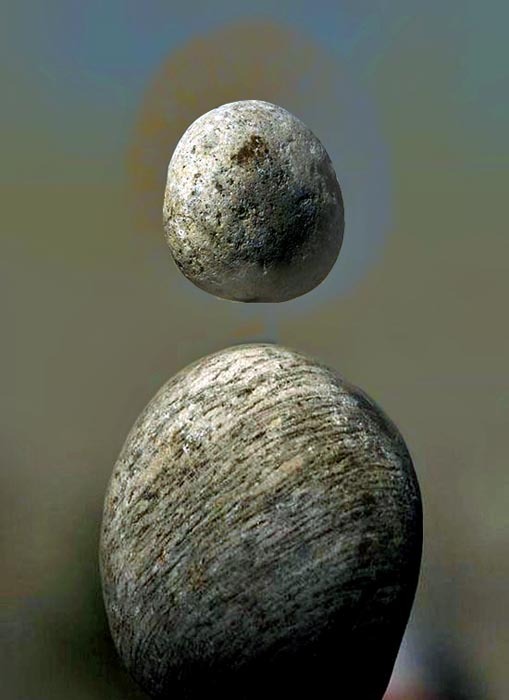 The smaller stone then lifted off the larger stone into the upper hand. Technical term: Ray Van Dreugen lines. Hmm, Global Incident Map - IMMINENT ALERT was the response... curiouser and curiouser.